For the top ranked college football teams, Conference Championship weekend can make or break a season. 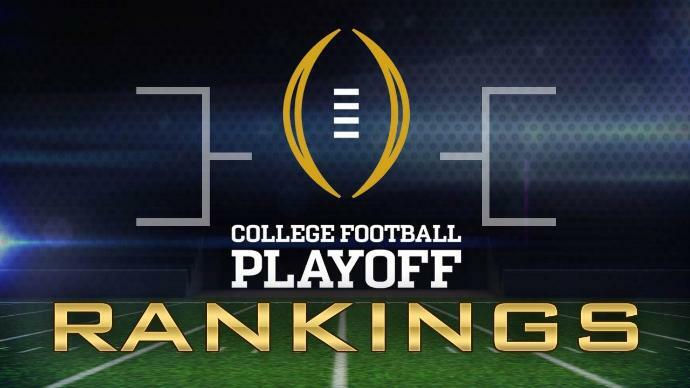 The ACC, SEC, Big Ten and Big 12 all have representation in this year’s CFP, and there are some exciting teams vying for the title. Before they can reach the College Football Playoff, they will first need to secure their respective conference. The ACC is home to the defending champions Clemson. The Tigers have been almost perfect throughout the season, with the exception of a narrow loss to Syracuse. Clemson capped off their regular season with a decisive win against USC and secured the #1 ranking. The ACC Championship game consists of Clemson v. Miami. If Clemson wins, they’ll clinch their third straight ACC title and enter the Playoffs at #1. Miami, at one point #2 in the country, must beat Clemson if they want to get back into contention. The Hurricanes were undefeated up until their loss against unranked Pittsburgh. If they want to make the most of their best season since 2003, they must win against the Tigers. Clemson is favored to win this game according to the odds at most college football betting sites. Big Ten action involves Ohio State and Wisconsin. The Badgers have climbed up the rankings amidst their undefeated season. Critics cite their lackluster schedule as a reason for their success, but they did beat Michigan by 14 points. A win against Ohio State would certainly justify their #4 ranking. For Ohio State, they control their own destiny. A win against the Badgers would instantly bring them back into the fold. QB J.T. Barrett would love to finish his last year as a Buckeye with a National Championship. Unfortunately, he aggravated a knee injury in their game against Michigan, but is expected to play in the Big Ten Championship. Ohio State is projected to win, but Wisconsin is capable of pulling off the upset. The Big 12 features the most exciting team in college football right now—Oklahoma. QB Baker Mayfield is on his way to a Heisman and could also help his team clinch a Big 12 Championship if they beat TCU. Mayfield has been lighting up defenses throughout the season (their lowest score was 29). A win against TCU would also lock up their spot in the Playoffs. TCU has also been electric this season, but their spot at #11 means that even with a win, they would likely not make the postseason. The Horned Frogs must try and keep up with the Sooners’ pace if they want any chance at winning this game. The Sooners are expected to come out on top of this Big 12 matchup. The SEC Championship is the most exciting game because both teams are only 4 spots apart in the rankings. This close margin means only one team will be making into the CFP. #2 Auburn is taking on #6 Georgia in Atlanta. The Bulldogs were once touted as potential champions and even had the #1 spot until Auburn destroyed them earlier in the season. Auburn has been playing well, but the highlight of their season was winning the Iron Bowl against Alabama. They knocked out Alabama and simultaneously moved into contention. A win for Auburn would confirm their spot in the semifinals and a win for Georgia would see them leapfrog Auburn at the last second. Auburn is favored to win this matchup. These games will set up what could be one of the best semifinals in recent history. The spreads are close, meaning analysts aren’t expecting any blowouts. Be sure to get any bets in before Saturday.